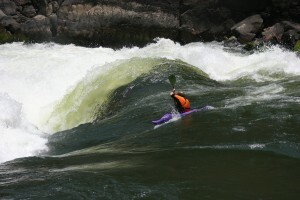 The Zambezi – Now’s The Time! 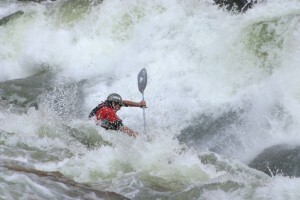 For any of you paddlers out there looking for the best time to kayak the Zambezi River, that would be NOW! The river has just gone to “low water” when the rapids are at their best, the weather fantastic, and you get to choose from so many great sections of river to paddle? If you are a surf demon, try the wave at rapid 2 and early October, head up to get in some serious surfing at the world class 12B. If you prefer running BIG waves then run from rapid 1 and take on Stairway to Heaven, Gullivers Travels or the Mother, rapid 13. The river is excellent through until December, with the weather getting hotter at the end of October and the chance of rain which will cause the river level to rise. We can provide you with excellent support for all your paddling needs, whether it renting a kayak, needing to get to and from the river each day, or head out on a fantastic multiday trip, we’re happy to make your next paddling vacation easy. Get a group together, or just come on your own. Our guides will show you down the river and show you all the best (and worst) places to go. Paddling big warm water is the ultimate. 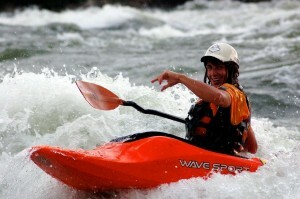 The Zambezi.com loves our “home river” and looks forward to sharing it with you on your next kayaking vacation. Flights are easy and simple into either Lusaka or Livingstone, so pop on over and enjoy some paddling no matter whether you are an accomplished kayaker, or you would like to take on a kayak school with our world class kayak instructors on the Zambezi River. See you there! If anyone had to imagine the 2 best rivers for a paddling vacation, the Zambezi River and the White Nile would have to be up there. 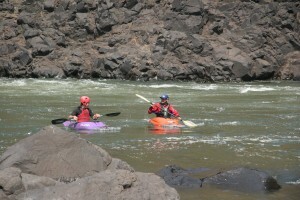 TheZambezi.com and Kayak The Nile have teamed up to offer what can only be described as the Ultimate Paddling Vacation. Due to the nature of the trip and the logistics in each destination the trip can be offered to all kayaking abilities from beginner to expert. Being our home rivers, we can offer you the best sections for YOUR ability and tailor make the trip for you. 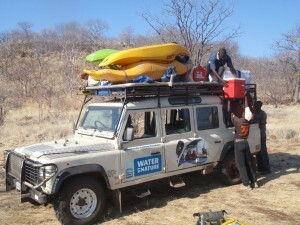 The trip is 14 days and will include all your accommodation, lunches (on paddling days) and boats. All you need to do is get to Uganda and Zambia… and home again. Convenient flight connections are available with Kenya Airways stopping in Nairobi (you can get a cheap return flight to Uganda from there) and Lusaka. Most paddlers take the bus from Lusaka to Livingstone and we’ll meet you there. Trips start in Entebbe every Saturday where the Kayak The Nile team pick you up. They’ll drop you back at the airport after a week on the Nile. Once on the Zambezi, you’ll get a welcome “Booze Cruise” and dinner on your day of arrival into Livingstone. 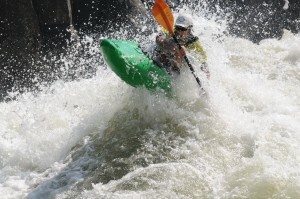 Come and kayak the Zambezi River in Zambia and the White Nile in Uganda, The Ultimate Paddling Vacation.